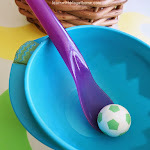 Learn with Play at Home: 8 Toddler Play Ideas. Invitations to Play. 8 Toddler Play Ideas. Invitations to Play. Welcome to this week's TUESDAY TOTS. What is an Invitation to Play? 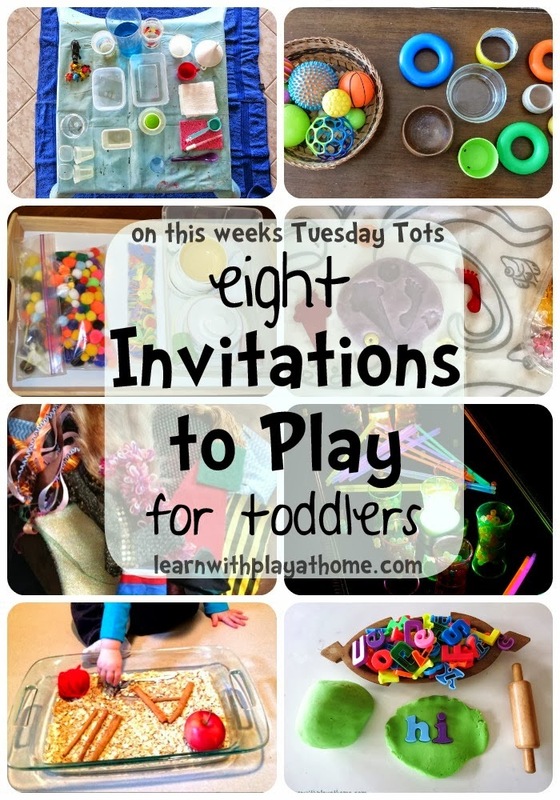 One of the easiest ways to keep your toddler busy and learning is with a great Invitation to Play. An Invitation to Play is just as it sounds. 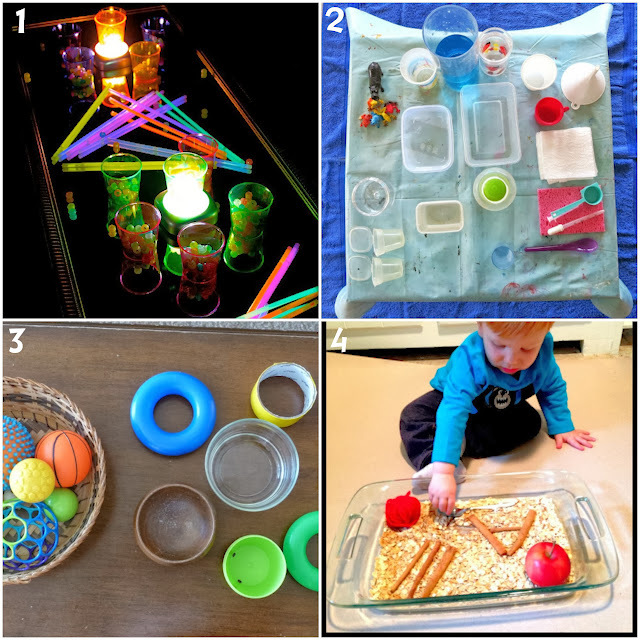 Inviting your child to play with certain materials. Your job is to provide the collection of materials and your child's job is to investigate, explore and play with as they like. Invitations to Play should be open ended with no set outcome at the end. However, it is easy to steer an Invitation to Play towards particular learning areas without forcing the issue, simply by the choice of materials that you supply them with. For example, for sensory investigations you'd provide them with sensory materials. If your aim is for them to learn more about colours or shapes or numbers, then the materials you include in the Invitation to Play would include those colours, shapes or numbers etc. 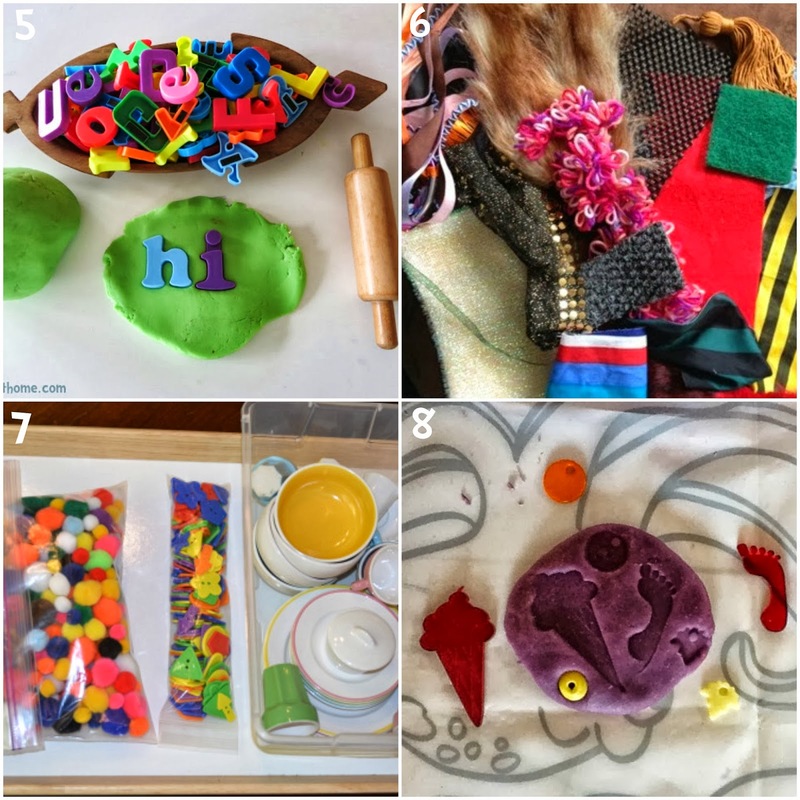 Here are some fun ideas for various materials that you could set out for your child to explore that were linked up in last week's Tuesday Tots. 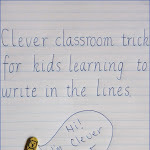 Please link up your great ideas for children aged 5 and under. 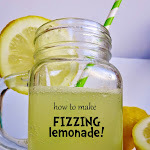 Be sure to check back on all the fabulous ideas that are linked up each week starting on a Tuesday. 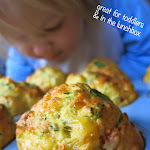 This is a fabulously useful roundup for any mom of toddlers...or twin toddlers, ahem...;) Thanks for the ideas and for hosting! What an amazing roundup!!! I am so excited to be included! :) Thank you!